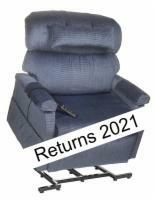 The Golden PR-502 is the ultra-heavy-duty model of Golden's best selling and best all-around performing lift chair. With ultra-plush cushioning, a 33-inch wide seat, and a 700-pound weight capacity, this chair will easily accommodate even the largest lift chair users. 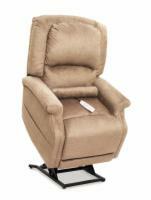 Our Recommendation: This lift chair recliner is a must-have for users of exceptional size.